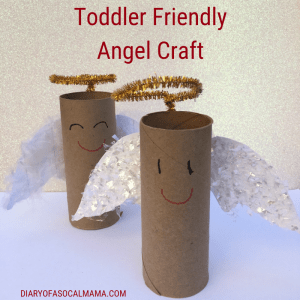 These easy toilet paper roll angels make a great Sunday school Christmas crafts for toddlers or preschooler. 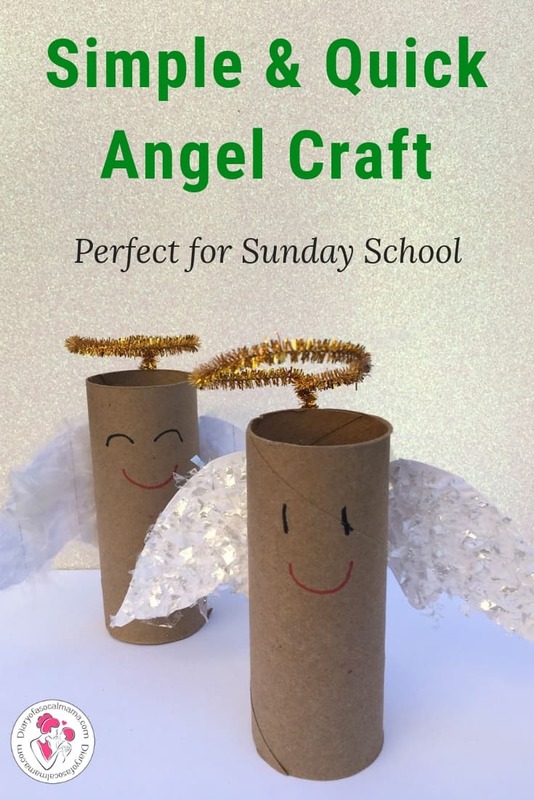 They’re also a great angel craft for kids at home as you probably have many of the supplies already or can pick them up for a few dollars at your local dollar store! 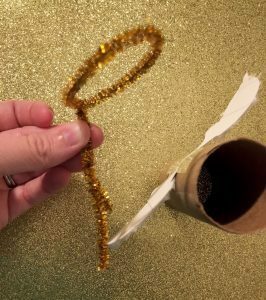 Simply gather some leftover toilet paper rolls and a few craft supplies and soon they’ll have a cute angel Christmas craft flitting about your home. white feathers or craft snow. Feathers will need to be cut into small pieces to go on the wings better. Cut out wing template leaving the bridge piece between the two wings. Use your finger or a popsicle stick to spread glue over one wing. Try to leave the center area free of glue and decor. Stick feathers or fake craft snow all over the wing to cover it. I suggest laying the wings in a box or plastic bin to contain the extra mess. Let the kids feel the different textures of what they’re putting on the wings. 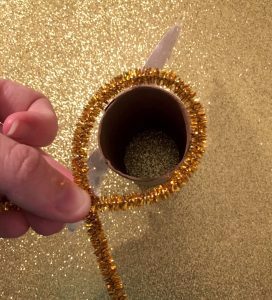 Create a halo out of a gold pipe cleaner. Wrap the remaining ends to form a stem. Tap the stem into place along the center of the wings. Leave enough height so the halo hovers above the head of the angel. 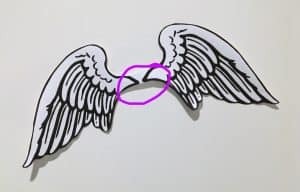 Last, use the markers to draw a sweet face on your angel. 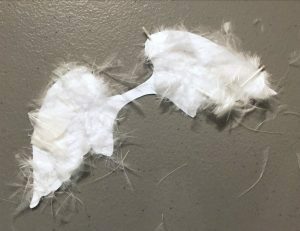 These angels can be made in less than 15 minutes making it great for a quick Christmas craft and can easily fit into your Sunday school lesson at church. I hope the kids have fun making them!